Australia is a country which is considered among world’s best countries by many people to reside. As a country of excellent natural beauty. It offers an increased standard of living with a balanced lifestyle. Every year, the government of Australia gets many PR applications from individuals all over the world. Australia provides immigration prospects to skilled individuals and those with personal relations there. Becoming an Australia PR can be a simple or difficult process that relies on your present status of qualification. With many visa subclasses that are made available by the immigration department of Australia, it is essential for knowing which is the most appropriate for your prior applying for Australia PR. This could be your excellent choice if you don’t have an employer for sponsoring you. It is based on a system of points test where you require to obtain atleast 60 points for becoming eligible. The most popular visa subclasses under these programs are subclass 189, subclass 489 and subclass 190. In order to qualify your age should not be more than 50 years, you must pass out the IELTS exam, your nominated profession must be under the list of skilled occupations, you must get an invitation after you submit your expression of interest (EOI). You must get sponsored by your spouse or partner who is either permanent resident of Australia or citizen of Australia. The sponsor must offer a lawful undertaking to help you during your initial two years in Australia. You must be sponsored by family member who could be your parent, kid or relative you is either a permanent resident of Australia or citizen of Australia. To get entitled for Australia PR, you could invest in the businesses of Australia, you can set up and can manage your own new or existing business. 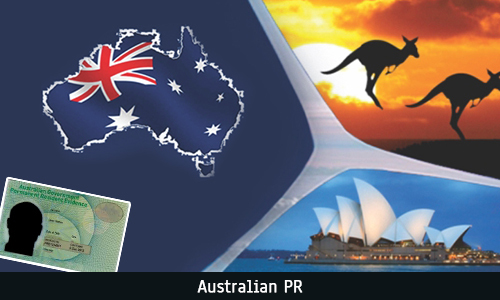 Australia PR is available in exchange for monetary investment and making economic contribution in the country. There are various other ways of becoming Australian PR. Australia PR is a name provided to a foreign citizen who is holding a permanent visa. The permanent resident could live, study and work in Australia without any limitations. Australia PR lets people from across the globe to visit and settle down in the country and enjoys all the privileges and rights like a citizen of the country.